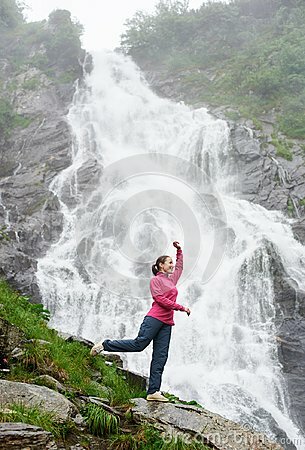 Portrait of female model in nature landscape with tourist attraction waterfall Balea in Fagarash mountains. Rocky waterfall in the mountains. The place of Carpathians Romania.